For an exciting game of catch after dark, the Skylighter disc has no equals. LEDs brilliantly illuminate the clear center and brightly colored edge for vivid and exhilarating nighttime play. 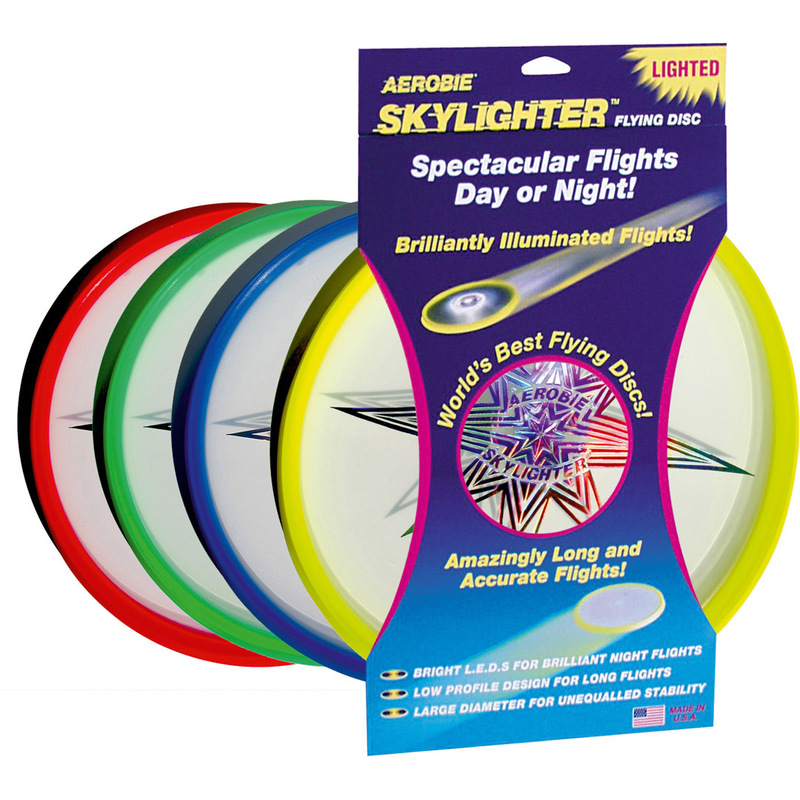 Extend the fun of playing with an Aerobie flying disc into the night with the Skylighter lighted disc. 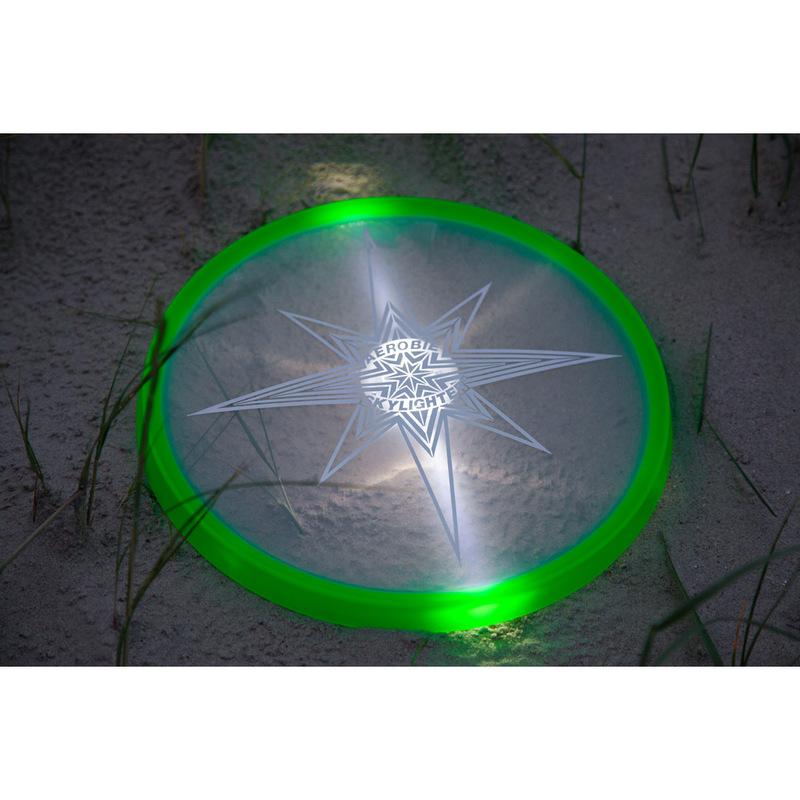 Its bright LEDs illuminate the clear center and the brightly colored translucent rim to make the entire Skylighter disc appear bright in the night sky. With the proprietary Aerobie spoiler rim design, the Skylighter disc is easy for players of all skill levels to throw well. Its aerodynamic profile and large 12 inch (30cm) diameter make the Skylighter fly straight and true. As with all Aerobie discs, the Skylighter disc has a rubber rim that provides a performance grip for strong throws and a soft edge to catch. Weight: 180 grams. Available in yellow, red, blue, and green. Two commonly available lithium CR2032 3 volt batteries included.